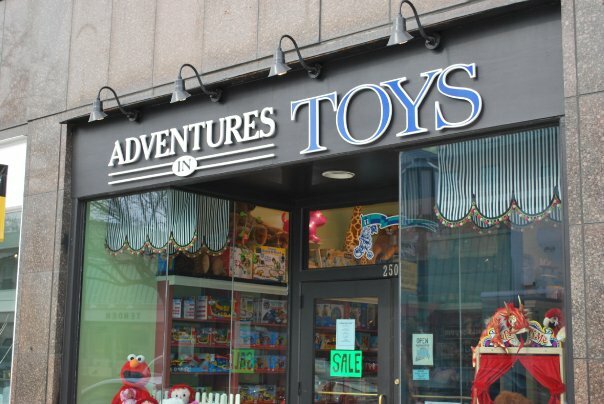 Adventures in Toys has been a part of the downtown Birmingham shopping experience since 1989. It has been our store’s mission to provide this community with a wide range of unique, educational, and most of all FUN toys. We are always looking for the newest high-quality toys from our reputable manufacturers. We select toys that help children develop problem solving, communication, and creative thinking skills that will last them a lifetime. We pride ourselves in our ability to help our customers pick out the best age-appropriate toy for any occasion. Offering free gift wrapping and back door pickup year round, we are committed to providing the best possible toy store experience. Visit our store in downtown Birmingham to see why we’re metro Detroit’s choice for toys, and like us on Facebook to follow our story!